The Sight for Students Program provides an eye exam and eyeglasses for children ranging from a few months old to 18 years of age who have no other means of payment. The program is funded by Vision Service Plan (VSP), a company dedicated to providing quality eye care for the thousands of American children otherwise unable to receive eye care. These children, whose parents work but are ineligible for government support, cannot afford the eye exams and eyeglasses they need to excel in school and play. When a Community Healthcare Center provider is advised about a sight problem or detects a problem during an exam, a referral for a VSP sponsored sight exam is arranged. An appointment is coordinated for the child with one of the contracted VSP vision sites in the Wichita Falls area. An eye exam by a contracted ophthalmologist or optometrist and one pair of glasses per year are provided free of charge. The program operates nationally through a network of community partners. 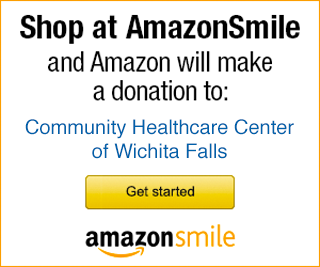 Community Healthcare Center is proud to be one of those partners. Contact Community Healthcare Center for more information by calling (940) 766-6306.